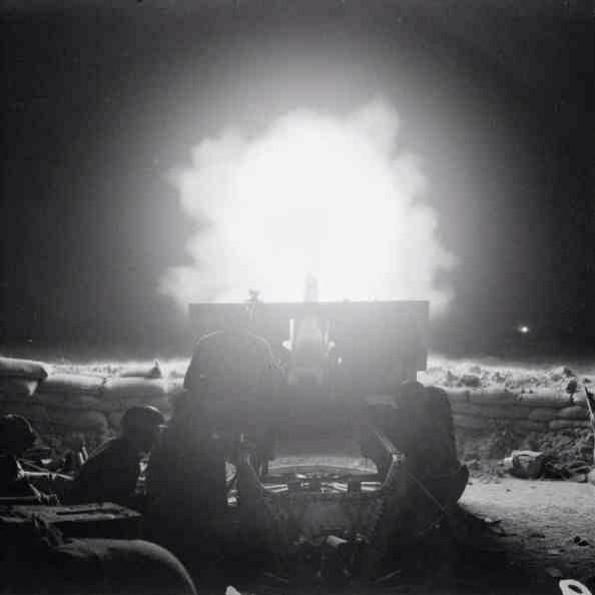 If life in our camps is made difficult by enemy artillery, for troops up on the line it is truly brutal. Soldiers and Marines in many places have been on static lines for a week or more. On these lines the Japanese deliver regular volleys of smaller artillery and mortar fire, which can reach down into the deepest protective hole. The barrages are often followed by infantry charges or preceded by sneak attacks. Life under artillery fire is an inestimable and unrelenting agony. One is sleep deprived, lonely, scared, and above all helpless to do anything about it. There is no rational response. Some flavor of functional lunacy is required to carry on, be it bitter hardness or detached resignation. Cases of shell shock accumulate when a front is static – one more reason commanders are anxious to maneuver and push forward again. It is certain that life on the Japanese side is even worse. For every scattering of shells they send, we are carpeting whole hills and valleys. We fire patterns of shells at the taller rocky mountains deliberately on schedule at the same time each day and night. The barrage is not meant to catch anyone by surprise. It is meant to reinforce the idea that we can do this at will and without end. Japanese there are probably hiding deep down in well stocked caves. It’s fine by us if they simply stay there. Ernie Pyle wrote that in Italy some artillery men figured that we were spending about $25,000 for every German soldier killed. They wondered what would happen if we just offered each of them that much cash to surrender instead. Pyle didn’t think much would happen. I put the question to members of a supply company here. They spent some time doing some serious accounting. Their total came to $127,200 for each Jap. They agree with me that few of them would surrender for even that lofty ransom. We are going to have to go get those Japanese soldiers the old fashioned way. Toward that end the first large reinforcing unit, a whole division, is due here from the Philippines in the next few days. There is no word yet on where it will go.